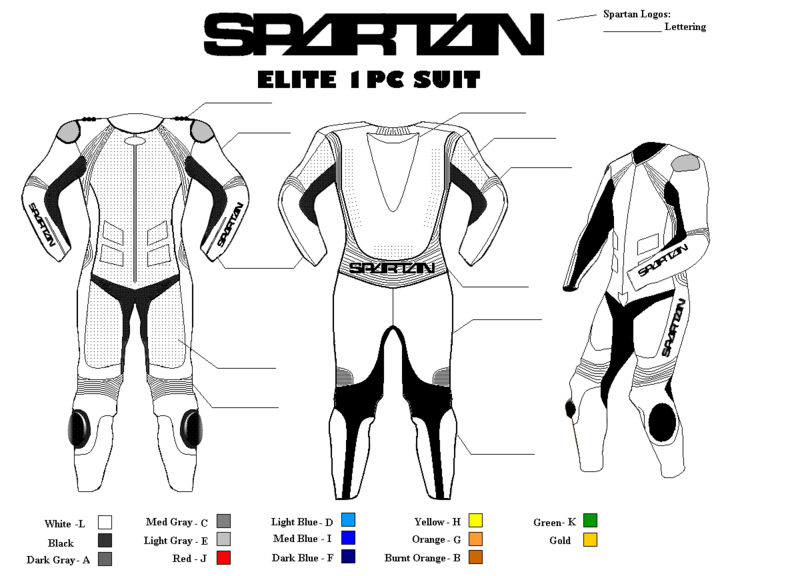 The Elite One-Piece Motorcycle Racing Leathers is a high-end race suit, with features that make it rise above the competition. With features such as large seamless leather panels, large Schoeller Keprotec stretch panels, excessive use of stretch leather, and ample use of double layered leather, these motorcycle leathers are sure to survive many crashes. With your choice of colors and suit options! 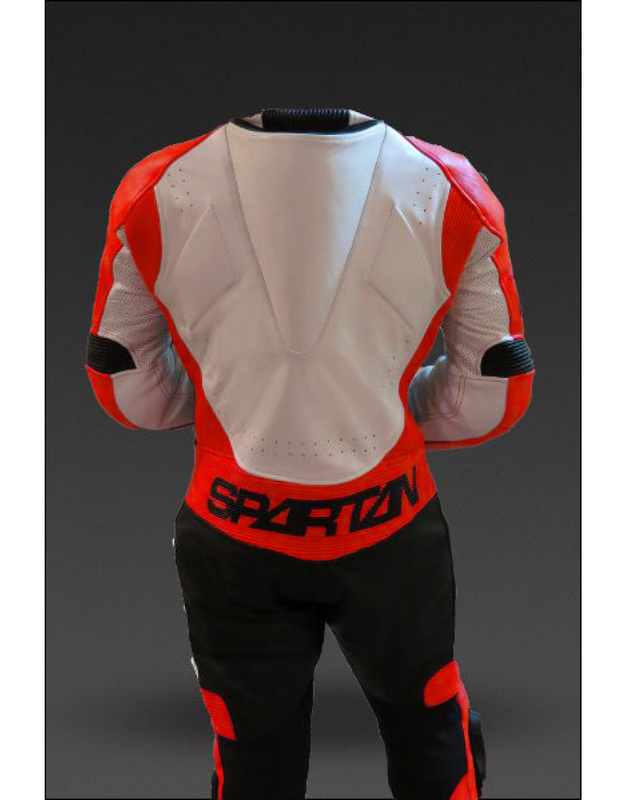 Spartan is now an All-Inclusive custom motorcycle gear provider. That means, whatever options you want, you get at no extra cost! * Do you want a double main zipper, thermal liner, custom back/chest lettering? No problem, and it will be no extra cost. 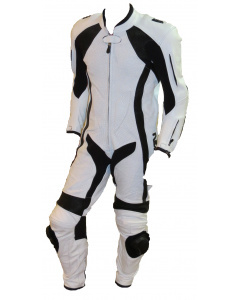 Do you need a modification to the suit to meet your needs? No problem. 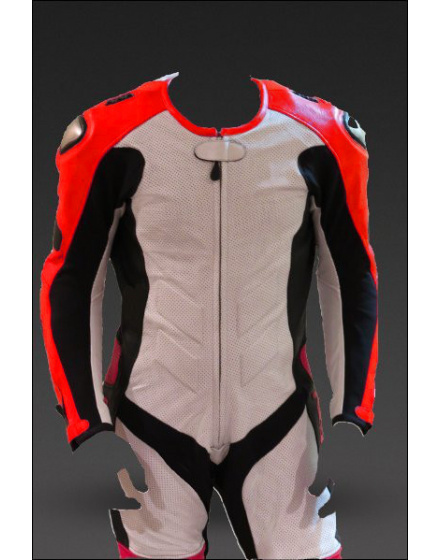 It is included in the cost of your motorcycle leathers! Just let us know what you want when you submit your measurements. *TPro Forcefield armor upgrades are excluded from the All-inclusive pricing structure. Limit of 4 pieces custom lettering per suit (For example: Name on chest, name on back, and number on each arm). Additional lettering will be an extra fee of $20/word. Please Note! Delivery times are simply estimates and cannot be guaranteed! Suits usually only take anywhere from 4-8 weeks for delivery, however various conditions could delay the delivery of your custom leathers, such as US Customs delays, natural disaster, and manufacturing delays (due to things like restocking leather supplies). I highly recommend NOT signing up for trackdays until after you have received the leathers in hand, and have verified the fit. Pictures below show options such as double main zipper, custom back lettering, and custom graphics work on top of back hump. Lite Package includes T-PRO Forcefield Type-B armor in the Shoulders, Elbows, Knees and Hips.